Your Trust has had a remarkably successful year with a record £264,564 of grants awarded. This was made possible by the first income from our new Heritage Fund and by the special appeal to support the installation of roof alarms. 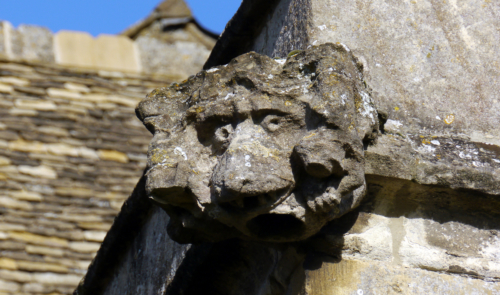 In addition on our recommendation Oxfordshire churches received £7,500 from the National Churches Trust under its Partnership Grants programme. Our Wolfson and Blenheim Lectures were well attended, the visit to Iffley church and a private art collection was an instant sell-out, and the August church visit and pub supper was extremely popular. By contrast the church visits in May and June were enjoyable but disappointingly undersubscribed . We are therefore adapting the pattern of our events slightly for 2017. We are also further refining the ticketing system to give members priority but thereafter to open events up to non-members. The Summer Lecture itself was a bravura performance by Loyd Grossman, the retiring Chair of the Churches Conservation Trust about the need to engage and inform a wider public about our churches. At Blenheim Sir Anthony Seldon tested our knowledge of our modern history with a stimulating interactive account of the development of the 10 Downing Street and the Cabinet Office. In March 2017 in conjunction with the DAC and the parish of Chalgrove we organized a much appreciated ‘day of shared learning’ about how and how not to manage a major church project with St Mary’s itself as both the venue and the exemplar. We made good progress on most of our objectives for the year. After much deliberation we have embarked on an ambitious programme to create a centralized database and to link it to a revitalized website. This will enable us to keep our information about our members more secure and up-to-date – information currently held on various private computers around the county. It will also enable online booking for our events which will save an enormous amount of work when, as already in 2017, events are oversubscribed. Above all we hope it will enable us to develop the Ride and Stride to attract a new generation of participants and to reach out generally to younger people. We have finally completed the long route march to our new Constitution. On 1 April 2017 the OHCT set by the 1964 trust deed transferred all its assets, liabilities and activities to our new Charitable Incorporated Organisation. Formally therefore you have become general members of the Oxfordshire Historic Churches Trust 2016, and this Review is the last that you will receive from the 1964 trust (although for ease of reference we have put the new charity’s number on the front cover). We now have a modern constitution which reflects the way in which we actually operate, but I hope you have scarcely noticed the change: our working name is still the Oxfordshire Historic Churches Trust, and the bank accounts and our pattern of activity are not affected. After such a successful year I pay tribute to those who have worked so hard for us on these and many other issues. I note with sadness that Debbie Dance has stood down as a trustee but am delighted to welcome Michael Sibly, our representative for the Woodstock deanery, as a new trustee. We are and hope to remain a volunteer organization but, to do so, we need your help. You do not have to be an expert on church architecture. Do get in touch if you would like to join a very friendly county-wide team.